Rather than overdo things, be too keen and do too much too soon, before my hamstrings and motivation get accustomed to regular running, I took a rest day today. 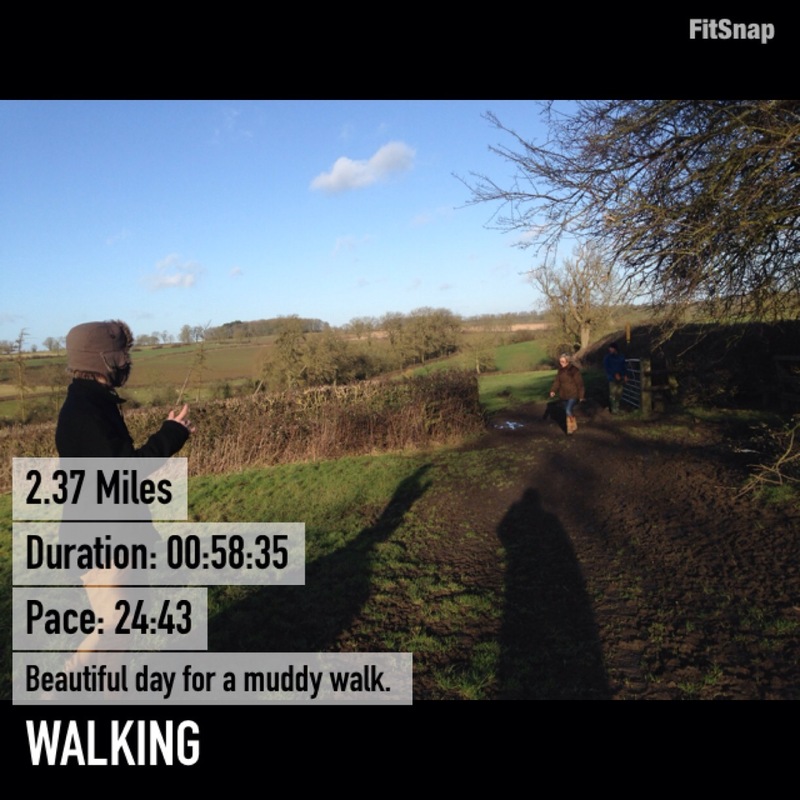 Instead I went for a lovely muddy walk in the sunshine to make the most of being out of London. Home tomorrow where I’ll be back on laptop to upload my activities for Janathon and better internet access to write and read blogs! South Leicestershire. Great for walks,runs etc. I read that as ‘better access to wine’. Which probably isn’t far off the truth either!